Yesterday I removed a rose branch that was trapped between the upper premolars in an otherwise cheerful (if now foul-breathed) young dog...one of the easier thing to resolve in the course of a busy day. I was less interested in the "why" question (why in the world would any dog think a rose bush seems a good thing to chew up?) and more reflective of what a crazy summer this has been. Of course, having endured a winter that made us all feel a little tougher (and, perhaps, a little bitter), many pf us quietly felt we wouldn't complain about too much heat, or too many stretched of dry weather or the mischief of dogs who dig after moles or chew on the roses. We were rewarded with an oddly cool summer, lots of rain, tick, and mosquitoes galore, and, as it winds down, the heat we had expected in late June. So forgive me if I am late to the game with some updates that I meant to have out well before Labor Day. It's just that I can't wrap my brain around the idea that it's the end of a summer that seems like it has just started. Most of you know that Dr. Aaron Luth joined our practice as a full-time Associate Veterinarian in early June. Thanks for the warm welcome you have offered him...he hit the ground running and is already busy seeing patients and performing surgical procedures. It has been a huge help to have him here-some of the challenges that come with a packed-full appointment schedule have been alleviated. With Dr. Luth's arrival, we are also able to have a slight extension of our practice hours, with the office open until 7 PM on Tuesdays, starting September 2nd. This means we will have three nights a week where we will be open until 7 PM (Monday, Tuesday, and Thursday), as well as the usual Saturday mornings, and until 6 PM on Wednesday and Friday. We do continue to find limitations with space, though. Even with greater appointment availability, we are still limited by the number of exam rooms, a frustrating problem. While not yet able to officially announce anything, we are quite optimistic that we will be transitioning to a much larger, free-standing hospital site very close to our current location within the next 18 months. STAY TUNED, and thanks for your patience during this time of transition. As an early reminder (because these spots have been booking up the last two times we have offered it), we will have a Fall Dental Health Special again this October. All dental cleanings (including anesthesia, the ultrasonic scaling, and polishing) will be offered at a 10 percent discount during October. Please call or e-mail our office with questions or to schedule an appointment. Finally, we get occasional calls about possible adverse effects from some of the preventative medications we use for heartworm and flea control. Social media (and sometimes news reports) may mention sudden death in a dog or cat one or more days after taking an oral preventative. We appreciate it that you contact us for details...we want to be your source for information on these types of reports. 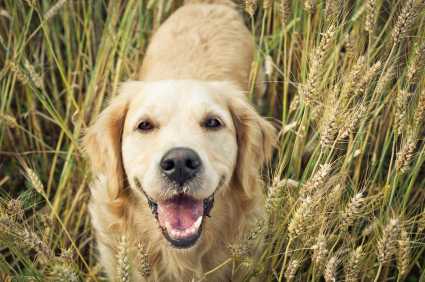 We have ourselves researched the reports and feel comfortable saying that there appears to be no relationship between the very sad loss of a pet and giving a dose of the preventative medication before it. Pathologists who did post-mortem examinations found a variety of problems, non related to others and with no apparent linkage to the preventative medication. Those of you who have been around a while have heard me say this a lot: Any animal's body can respond to whatever is taken into it in almost any way it chooses to do so. ANYTHING has the potential to cause some kind of adverse reaction... the same thing is true in human beings. That said, we see no evidence to cause worry about the preventative medications we currently offer and recommend. Rest assured that we will absolutely make you aware if such a genuine concern arises. These are the same products we use on our own pets, so we share your desires to be sure they are effective AND SAFE. Please enjoy the Labor Day weekend, even as we a bid a too-quick goodbye to Summer 2014. The office will be closed on Monday (though staff as always will be in to care for our boarders), and we look forward to your comments and questions. Thank you for sharing the care of your pets with us...it is a privilege!